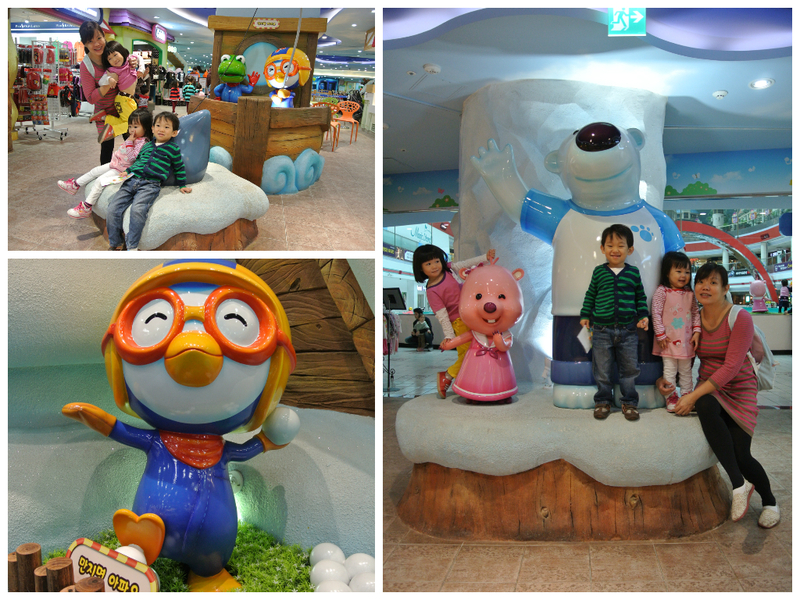 We learnt that there was a newly open Pororo Park which was located at Lotte World (B3 I think) through a blog. 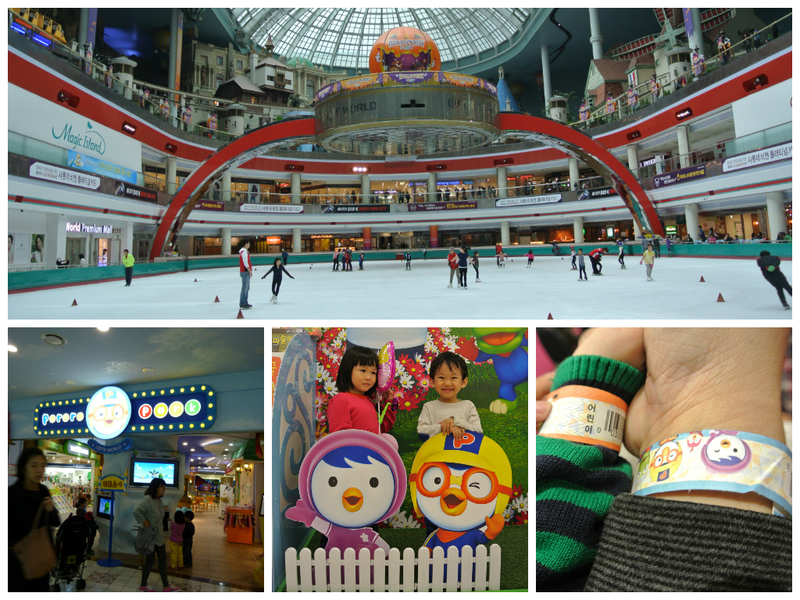 We decided to bring the kids there instead to the one in D’Cube City, which required us to travel a distance. We paid around $40 a person to enter the park, and though the area is not that huge, it did have sufficient rides and play area to entertain kids below 6 years old. 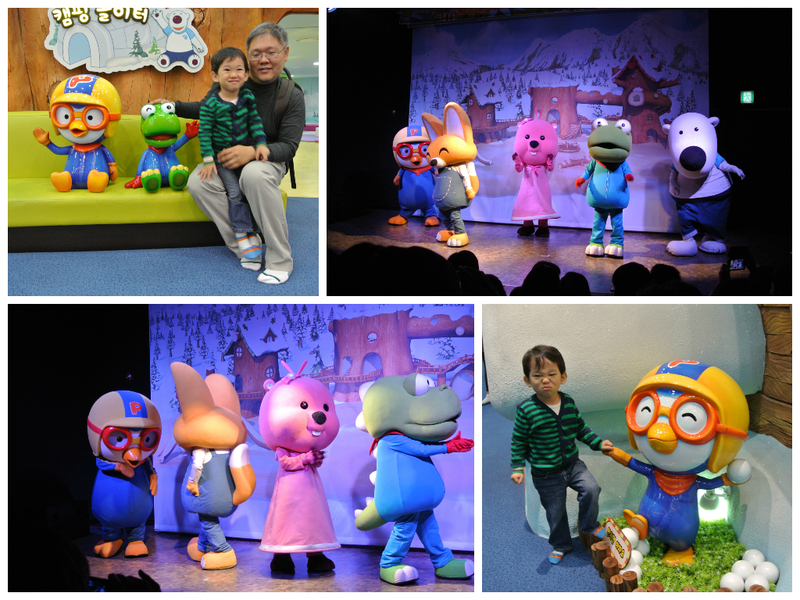 They had regular Pororo performance and I must say.. Pororo songs is really good. At around 1pm, the kids was getting tired and hungry. We decided to leave the park and head for a food court nearby for lunch. After lunch, we decided to head back to the hotel for nap. As you can see from the last 2 days, we are taking it slow and trying to get as much rest as possible. In the evening, after the kids woke up from their naps, we brought take-out food back to the hotel while the kids spend the evening playing in the hotel room. Knowing that it is the last night, we are planning to take it slow. So after dinner, we walk to Toy-r-us for the kids to pick up a toy before heading Lotte Mart to buy all the korean snacks and goodies to bring back home. We head back to the hotel, make the kid to sleep and started packing, preparing for our return to Singapore the next day. As the limousine bus to the airport is right at the door step of the Lotte World Hotel, we did not need to woke up extra early to catch the bus. Another advantage of staying at Lotte World Hotel – we did not need to carry our luggage to the bus stop. Our concierge help us bring our luggage to the bus stop. With 3 kids with us, this is a big advantage to us. It has been a wonderful holiday for us. Due to the dryness in the air, Jaydon lips cracked and suffers a slight fever at the end of the trip. However, he recovered on Day 9, which puts an happy ending to the whole trip. 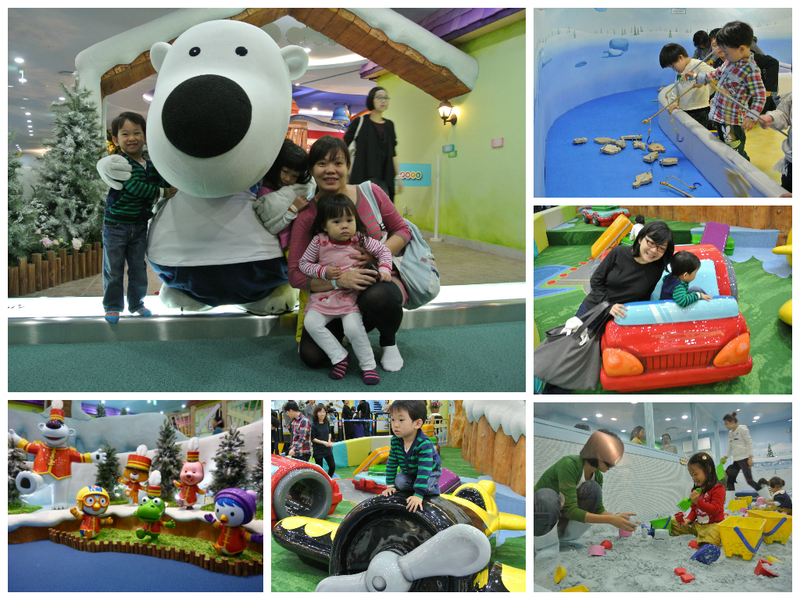 Other then that, the kids enjoy the holiday and the parent have their fair share of rest and good food. Mummy has sufficient shopping to keep them occupied throughout the trip. 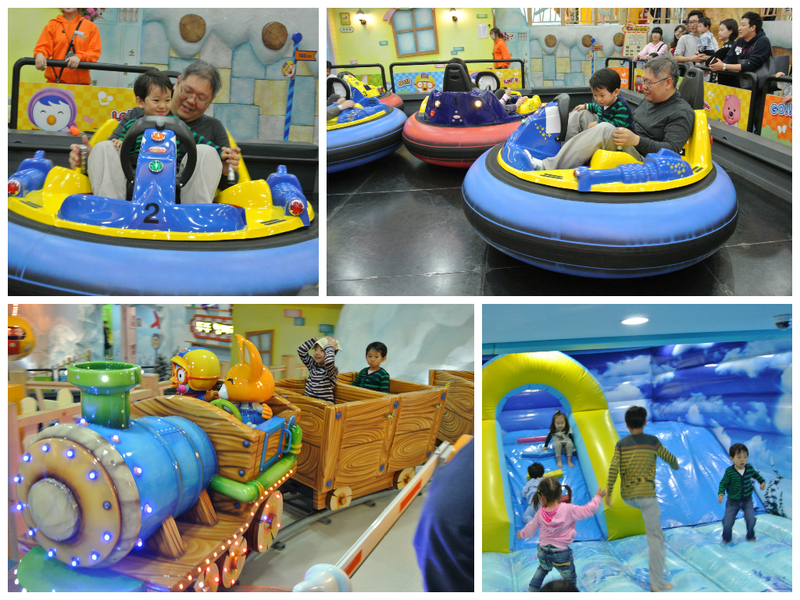 Compare to Taiwan, we felt that Korea has more kids attraction to occupy the kids. It is more scenic and pleasant to move around. The language barrier is not a big issue especially of the advancement of the South Korea as well as available technology (ipad have apps to help you translate common use Korean Languages) to help you. The perception that it is hard to move around in Seoul is inaccurate. If you can travel free-and-easy in Tokyo, the difficulty is not worst off in Seoul. Their transport system are in English and the restaurant will have menu in English. U won’t be surprise that in every restaurant you can find a staff that can speak either Mandarin or English. In areas that is frequent by tourist, there are guides walking around all ready to help you in English or Mandarin. If you like to travel Taiwan, I am sure that you will love Korea! If you have budget for Taiwan, I would recommend to try a trip up to Korea. The expenditure and cost of traveling in Seoul is on par with Taiwan. 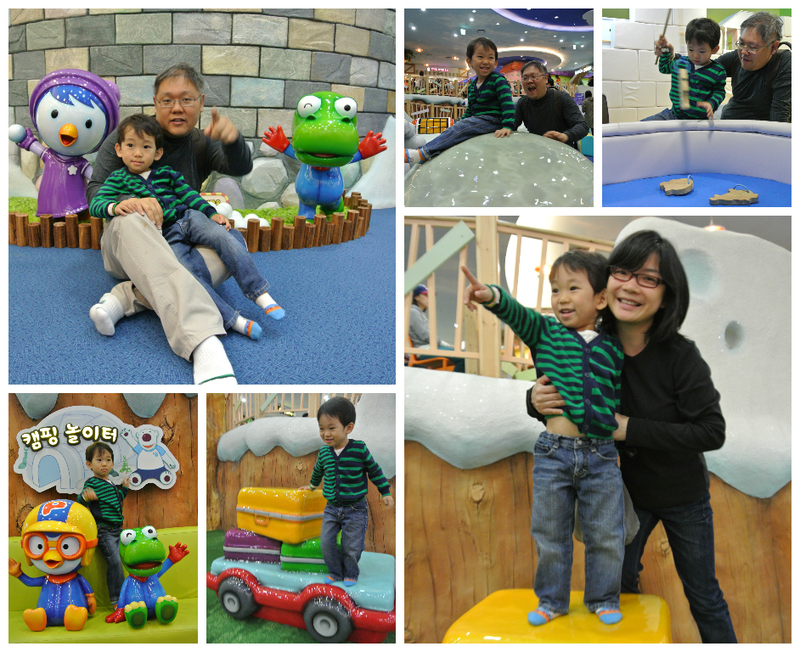 We would love to return back to Seoul to visit the place which we did not manage to cover for this trip. 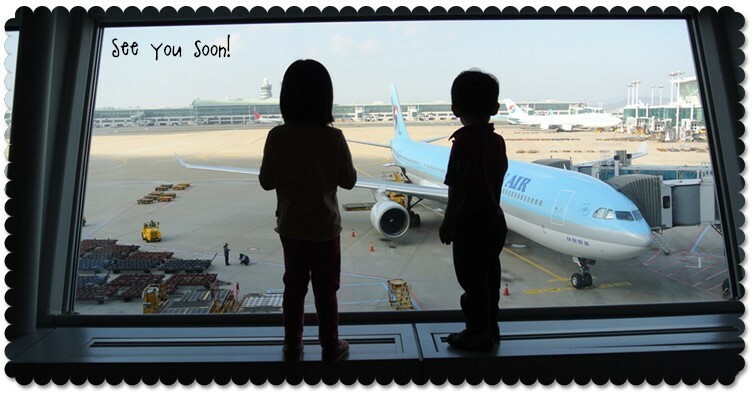 Till we meet… Happy holiday in South Korea.